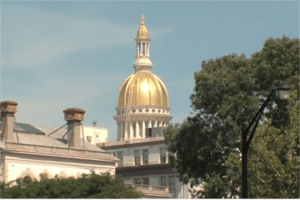 Raising the minimum wage has widespread support in New Jersey, and proponents of a $15 minimum wage are hoping to ride that support toward a substantial increase next year. But public support for a minimum wage increase does not mean the public wants to see it rise dramatically. Some legislators in both parties have recognized this and, in recent days, have offered alternatives to the $15 minimum wage. Democratic Sen. Vin Gopal announced Dec. 11 that he planned to introduce legislation for a $12-an-hour minimum wage to be phased in between 2019 and 2021. It would exempt agriculture workers, seasonal workers, new small businesses (in operation less than three years), employees in on-the-job training programs and those under 18. These workers would receive a minimum wage of $9.25, Gopal said. On the Republican side, Assemblymen Anthony Bucco Jr. and Hal Wirths are proposing a $13-an-hour minimum wage and an increase in the earned income tax credit to 80 percent. Bucco pointed out that raising the minimum wage without indexing the state’s income tax brackets could punish low-income earners by offsetting the potential pay raise with higher taxes. Bucco sponsors a bill that would adjust income-tax brackets to inflation so taxpayers don’t face tax hikes as a result of cost-of-living raises. “As our low-income earners begin to see an increase in their salary they get pushed into the next tax bracket where they are now earning less,” Bucco said. Assembly Speaker Craig Coughlin has introduced a bill that would reach $15 in 2024 for most workers, and provide slower increases for small businesses, seasonal employment, youth and agriculture workers. There are many business markets that rely on lower wage scale workers to perform simple tasks requiring no more than a high school or GED diploma. These employers will shut down, because New Jersey continues to escalate business costs that their clients can no longer absorb: Sales tax, PPACA, NJ Sick Leave, and now a huge bump in the minimum wage. The real problem residents cannot afford to live in New Jersey is becsaue of the property taxes, where nearly 75% of our tax bills go to the education system. You would think New Jersey’s education system would be first in class for the cost, but NO. Politicians are afraid to address this most important fact for fear of the teachers union and not getting re-elected. Here comes inflation that not even POT revenue can save us from. They should just leave things alone that they obviously do not understand. Sure it would be great for everyone to get a sixty or seventy percent raise in a short period of time but that’s not how things work. Are they working for more votes to keep their jobs or are they just having a great time to see if they can destroy the States economy because it might be fun to do. I just don’t get it. Where are the people in charge with some common sense? Murphy is encouraging this minimum wage nonsense. He is a real Robin Hood, stealing what is not his and purchasing popularity with it, all done under the color of law. Watch our governor, he has his eye on presidency. He is going to become a hero at the NJ job makers’ expense. Our State politicians need to tackle out-of-control expenses (i.e. education, just look at your tax receipt if you don’t believe this!) and start catering to the job makers who can create good paying jobs that out-compete neighboring states. Our Governor needs to lead the effort but he is clearly more interested in building his personal political base for a bigger prize. Until we get some real leaders who care more about the State and less about the unions (and their political ambitions), affordability of life in NJ will continue to decline.